What you need to know about eastern Yemen! Since March 26, 2015, the Saudi-led coalition , backed by the US, intervened in Yemen’s internal affairs, launching a military operating against the Yemeni army forces . Yemeni rights activists in eastern Yemen on Monday said that the Saudi forces have established 17 military camps in al-Mahrah province, while the Saudi authorities stent 500 Saudi soldiers to in al-Ghaidha airport and coastal sites a year ago after the United Arab Emirates forces had left the province. 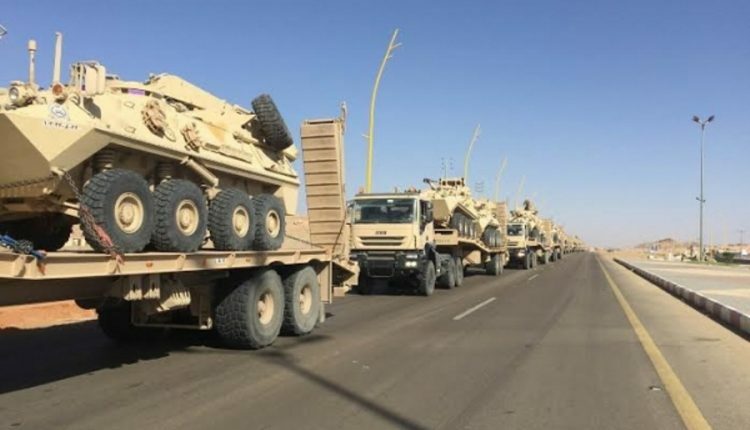 Last year,civilians sources told YemenExtra that a huge Saudi-led military forces arrived to the eastern of Yemen.Troops, military vehicles, equipment and mobile houses belonging to the coalition were dispatched to the Sihut coastal district, to establish a military base in eastern Yemenn near to the Sultanate of Oman. The head of the Supreme Revolutionary Committee, Muhammad Ali al-Houthi, said that the ambitions of the coalition have become apparent in Maharah, Socatra ,Aden, Hadramout and others province,stressing that the coalition forces did not come for the alleged legitimacy that launched their war against Yemen under its false banner, but for the occupation.